When displaying your social hub, we show a placeholder image until your browser retrieves the image from the remove server. This significantly improves perceived performance of the hub. This article describes how to change the placeholder (or "lazy load") image. 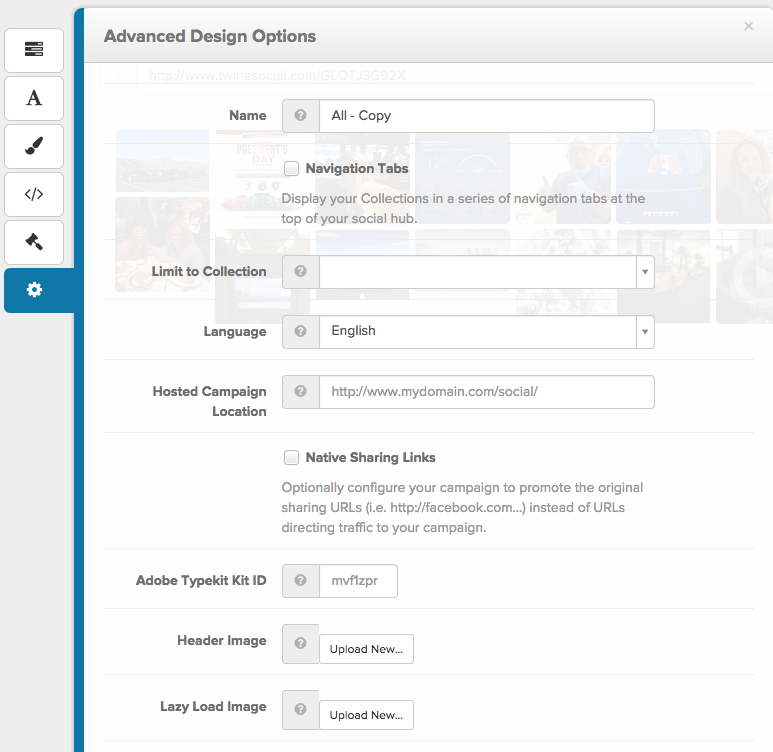 While logged into your Management Dashboard, choose Campaigns from the left navigation pane. Choose Design from the top navigation pane. Choose the Advanced Design Options icon (looks like a Gear), and choose Lazy Load Image to upload your own image. For best results, choose a square image sized 612px by 612px. How do I constrain the height of my hub? How do I style the modal window using CSS?